Change is the only constant: Donald Trump vs Kim Jong Un: Match of the Century? 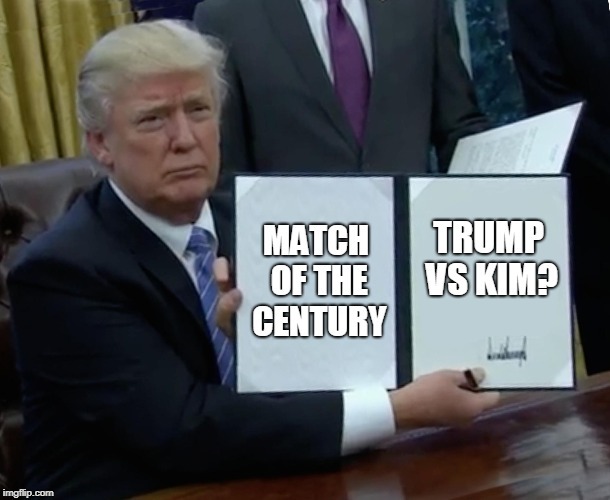 Donald Trump vs Kim Jong Un: Match of the Century? We know how much Trump loves stirring things up. But at rare times it could be something good, such as his recent groundbreaking acceptance of an offer to meet with North Korean dictator Kim Jong Un (if successful, this will be the first time a US president has met face-to-face with a North Korean Leader). Now, it seems, Donald is also aiming to be the first American president to participate in a chess match. 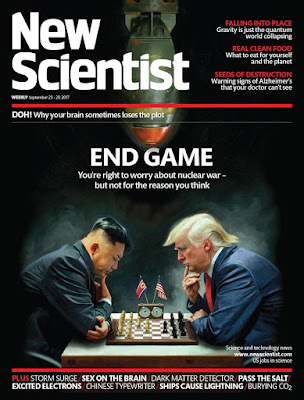 Reliable sources have discovered that he has issued a chess challenge to Kim, which will take place during their summit if the latter accepts. Trump has proposed a format similar to the current World Championship: A 12 round match, with the winner being the first to reach 6.5 points. Alongside Carlsen vs Caruana at the end of this year, this is set to become one of the most followed chess events of the year, or possibly even the century. "So you're placing your bets on me this November?" It’s funny how much Donald flatters the US has having the best GMs, when in 2016 he lamented that there were no Grandmasters in the US. Did some large scale migration of chess players from Russia take place within the last two years? But we digress. As usual, Trump supporters have reacted to this news with the hype and frenzy that we get from, well, typical Trump supporters. And there are many chess fans who will be more than willing to follow the results. After years of staring at Berlin Walls, Queen’s Gambits and other standard GM openings from the top level, who wouldn’t want a refreshing look at some new ideas from the non-professionals? After all, it’s been a long time since the Trompowsky was last played in a high-level match, and Trump seems all set to renew his namesake opening! Nevertheless, the response across the world has been generally enthusiastic. Agon Ltd has offered to sponsor the match, possibly to redeem themselves after a disastrous run in the Candidates 2018. However, with Trump’s immense wealth—as immense as his ego—that would probably not be necessary. With America’s “Big Three” – Hikaru Nakamura, Wesley So and Fabio Caruana—forming the core of the US chess elite, there are no shortage of chess masters who have the potential to help Trump in this match. However, Donald has declined assistance from the Big Three, stating that he prefers to keep the identities of his seconds as “classified information”. Since Donald refuses to release his seconds’ identities like how he refused to release his tax returns, we’ll let him be. Anyway, the Big Three probably aren’t very interested in helping him. 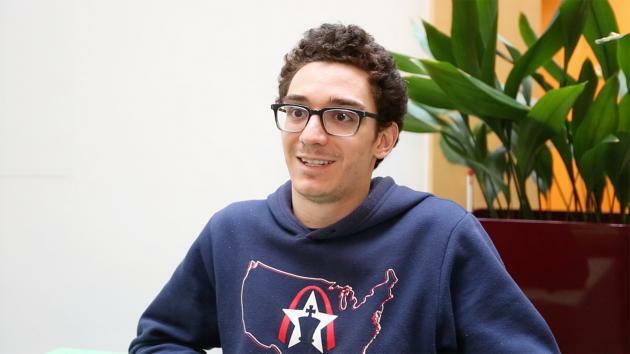 Caruana is fighting in the Grenke Chess Classic, and after that he will be preparing for his match against Carlsen. As for Nakamura and So, they’ll be busy helping their fellow countryman prepare for the upcoming World Title match. So far, the response from the North Korean side has been relatively muted. A North Korean spokesman replied that Kim is “seriously considering” Trump’s offer, but has yet to make a decision. 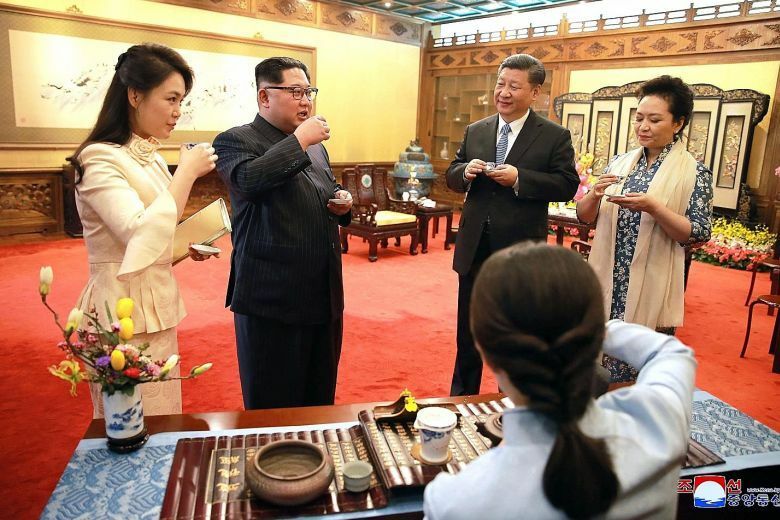 However, in the dictator’s recent visit to China, Chinese Premier Xi Jinping encouraged him to accept the challenge, and offered assistance in the form of Chinese grandmaster seconds. 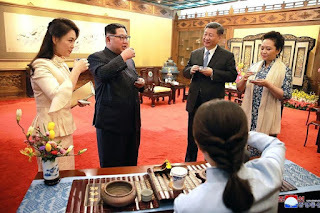 This means that if Jong Un participates in the match, the core of China’s chess elite—Ding Liren, Wei Yi, Hou Yifan, and many others—could very well be providing him with much-needed assistance. There are also rumours that North Korea has engaged Chinese priests to invoke the spirit of Bobby Fischer, in the hope that he would return to act as Kim’s second. 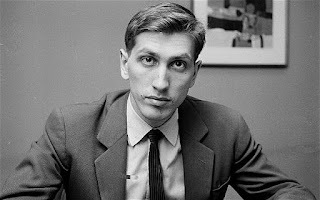 Given Fischer’s passionate hatred for his home country, he definitely would be more than willing to help (if he somehow returns), and the North Korean side will get a great boost if these efforts are successful. "Make it quick, will you? I'm busy playing blitz with God"
So, could this be the match that everyone is awaiting? After years of sabre-rattling with words, military force and economic means, could politicians finally return to the old ways of settling disputes with a fair-and-square duel? Sadly, this doesn’t seem to be the case, and even if Donald Trump gets to play his match with Kim Jong Un, he will end up blundering his games similar to what happened in Chess Camp 2017. After all, politicians are politicians. Have a Happy April Fools, and please don’t believe a word of what I’ve said just now.